What could you do with the ability to quickly validate your labeled biochemical or cell-based assays from the comfort of your bench? No more sending false positives to secondary screening – now you can be sure of your hits with a direct measurement tool that reduces confounding interactions. 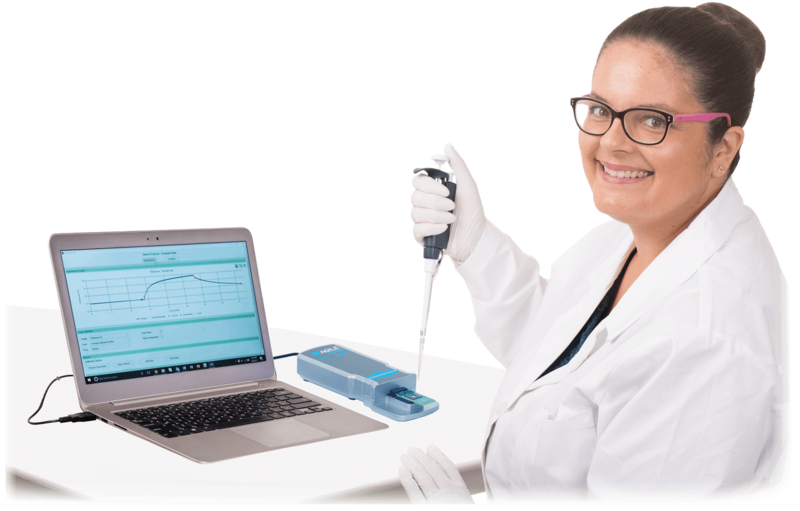 The single-sample Agile R100 graphene biosensor lets you have personal control over confirming results from your primary screen, reducing the time and resources spent on compounds that ultimately fail. At a price that’s affordable for any lab, you now have a cost-effective way to validate hits accurately and see deeper, know more, and make new discoveries. Choose one of the below applications to learn more!